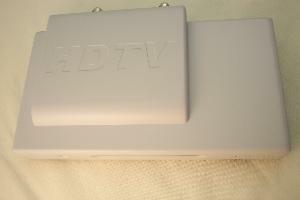 So, you would like to add a dual OTA/QAM capable HD tuner to your HTPC setup, but you are out of card slots? 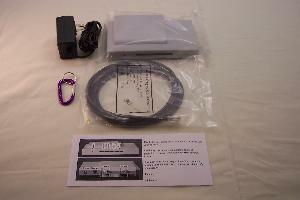 Perhaps, you would just like the flexibility of a network attached tuner? SiliconDust Engineering recently heard your pleas for help and today we are going to review their solution. Read on to find out how the HDHomeRun performs. The unit arrived in the typical white box fashion. Inside with the HDHomeRun was a PhiHong 5V, 2A power supply, 7 feet of CAT5e Ethernet cable, brief instruction sheet, and a light gauge carabiner styled key ring from 9th Tee Enterprises who distributes the HDHomeRun. When I say the instruction sheet is brief, I mean it is REALLY brief. 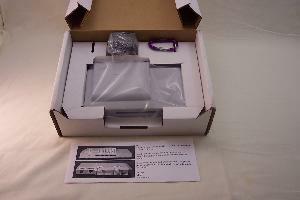 It outlines the various LED functionality and cable connections and directs the buyer to their forums for further information or support. I suppose this makes sense as this device is being marketed in a grass-roots fashion with ongoing open source software and driver development. It just seems a little too unprofessional compared to its competitors. 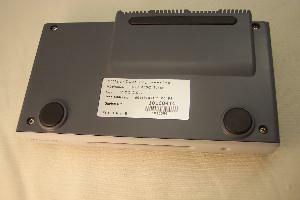 The device is encased in a rather plain off-white/gray plastic enclosure which is almost devoid of writing. In fact, without the small paper diagram, it would be impossible to know what the LEDs mean or which coax connector goes to what tuner. 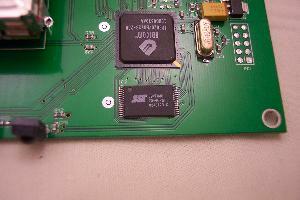 There is a label on the bottom which does identify the unit's MAC address. This can save a bit of packet sniffing in the event the user wishes to fix an IP to the unit via a DHCP server. The rubber feet are a nice touch to prevent the device from sliding off a table or desk. I would, however, like to see a couple keyholes or a bracket to make the device wall mountable. One of the advantages of a networked capture device is it can be mounted in the basement where the cable enters the home giving you the best possible signal. Without this feature, the user is left to find a horizontal surface or leave it dangling supported only by the cables. 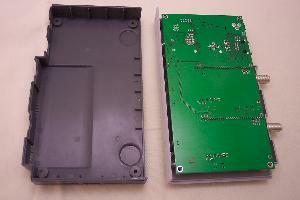 I would be remiss in my duties as an Electrical Engineer if I didn't crack the cover and see what makes it tick. The main processing duties are handled by a Ubicom IP3020 32-bit network processor clocked at 250MHz coupled to a SST 39VF040 70nS 4 Mbit flash chip. 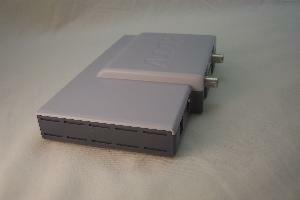 Ethernet connectivity is provided by a Davicom DM9161A 10/100 Mbps single chip transceiver clocked at 125 MHz. 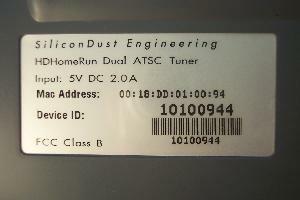 The tuners are Thompson DTF8640B modules which are reported to have a higher sensitivity than their competitors. 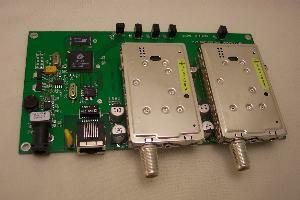 As an interesting side note, these tuners support analog NSTC reception meaning they are capable of tuning in standard analog TV. 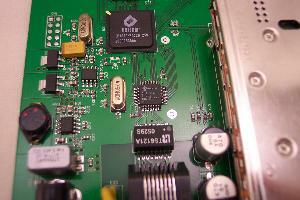 Due to the lack of a hardware MPEG2 encoder chipset, it could at best only be software encoded. Just to clarify, the HDHomeRun currently does not support analog TV. 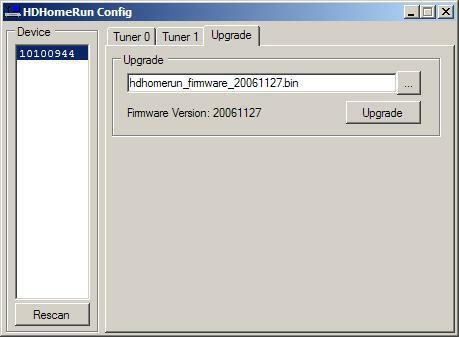 According to their support forums, the device's firmware should be update with their latest hdhomerun_config utility. The GUI version of the utility requires Microsoft's .NET package which is a bit of a pain to have to install, but makes life easier on the developer. Once everything is installed, launching the GUI version of the utility gives the screen shot below. 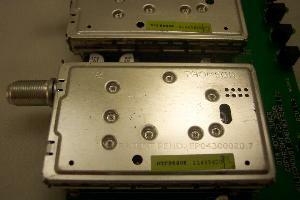 It's not necessary to know the IP of the unit as it is auto-discovered and listed by serial number on the left. Clicking on the "Upgrade" tab and browsing to the location of the new firmware and clicking the "Upgrade" button will transfer and flash the new firmware. Once that is completed and the unit has finished rebooting, verify the version number matches. 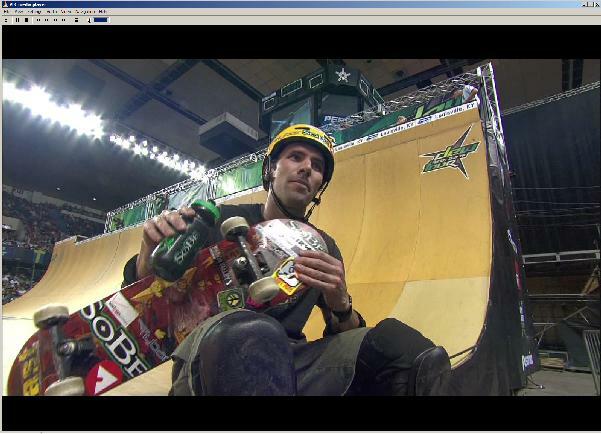 Next up is to install VLC which is a media viewer that can interpret the HDHomeRun's data stream. 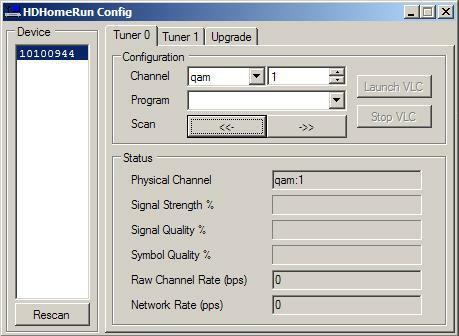 Once VLC is installed, select the "Tuner 0" tab and select either QAM or 8VSB in the "Configuration" frame. Clicking the "->>" scan button starts scanning up through the channels until it finds a valid feed. Once a valid feed is found, the utility shows some information about the stream in the "Status" frame. To view the feed, simply click the "Launch VLC" button. VLC will load and start displaying the stream. If a feed is discovered, but it is encrypted then the utility will show "(encrypted)" in the "Program" drop-down list. The SiliconDust forums outline instructions for MythTV and SageTV along with general tech support and development type questions. According to the web site, Media Center and BeyondTV support is currently in beta and will be added shortly. 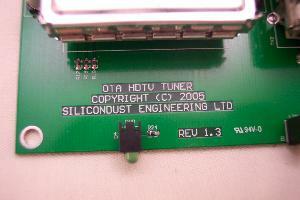 The HDHomeRun also features an internal IR receiver which can be used with LIRC. To be honest, my ability to test OTA reception is impossible as my location does not allow for it, so I set my sights on QAM. After doing an initial scan following the advice from their forums, I looked for a suitable channel to test. ESPNHD2 (1080i) seemed like a good place to start. Below is a screen shot of VLC at 1080i with Bob de-interlacing. SiliconDust has really hit on a favorite with their HDHomeRun. While its documentation is a bit lacking its feature list sets it apart from the competition and gives it a distinct advantage. 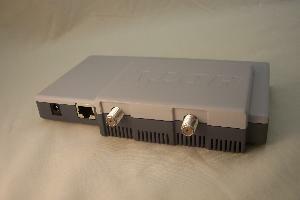 The fact that it is network attached allows the user to place the device where it is convenient rather than taking up space and generating more heat inside the HTPC. The addition of a wall mount bracket would allow the unit to be mounted next to the cable splitter and amp. 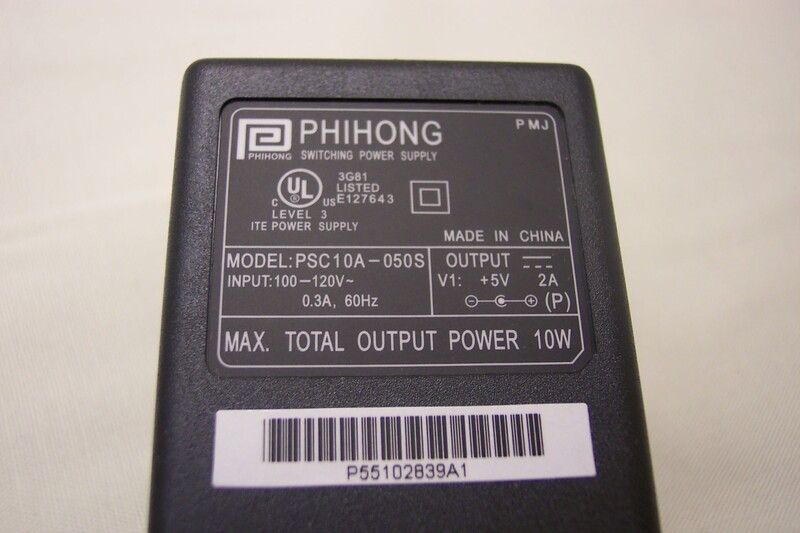 Silk-screening some text onto the enclosure or an additional label on the bottom would go a long way to reducing user confusion during installation and future troubleshooting. It's true that the included slip of paper defines these items clearly, but I'm betting that paper will be MIA 6 months from now when it's needed for reference. In spite of its less polished outward presentation, when it comes down to it, the HDHomeRun performs its duties quite well. 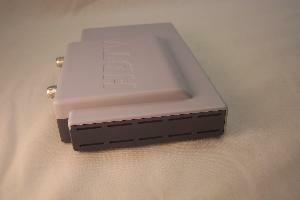 If you are using one of the above PVR software packages and you are in the market for a HD tuner this Christmas, then this is the tuner for you. Remember to check their web forums regularly as they frequently update the firmware and utility software. In a future follow up article, I will describe the steps involved to integrate the HDHomeRun in an existing analog SD MythTV environment. Until then, please post your questions or comments in our forums.